The tasks of process operator Mikko Kangas include the measurement and adjustment of the pH values of the fertilizers being manufactured. He wears an Auto Flow respiration mask, because personal protectors are used in the factory hall to protect against chemicals. Process operator Ville Puustinen is keeping an eye on the monitors in the control room of the Yara factory in Siilinjärvi. He makes sure that everything is going as it should at the factory which manufactures fertilizers and chemicals. His other responsibility is to ensure that the working conditions in the vast factory hall are always safe. A heavy responsibility weighs on him. Yara is a global producer of mineral fertilizers, industrial chemicals and products for environmental protection. The factory at Siilinjärvi produces phosphoric acid, sulphuric acid and nitric acid, which are also used to make fertilizers. About 400 people work in the factory, and the workers in the production halls are involved with these acids as well as the gases emitted in the process of making the fertilizers. – The work is challenging. Responsibility for the operations of a large factory can be compared to the work of a locomotive engineer, who is responsible for the train and the safety of the passengers. We in the control room are responsible for our part for the operations and safety of the chemical factory, says Puustinen. At Yara’s factory in Siilinjärvi, occupational safety is visible everywhere. 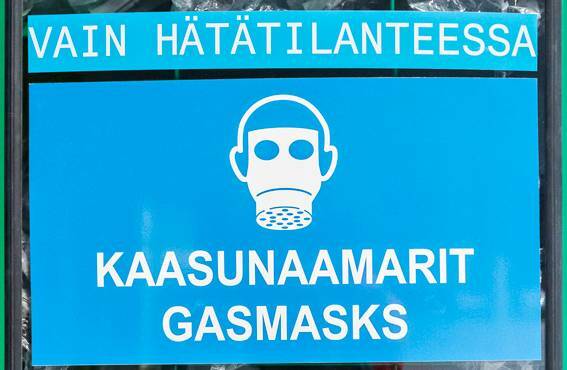 Safety goggles, face masks and gas meters are always available at the places where people enter the factory. His job includes noticing immediately anything that deviates from normal from the control room’s monitors, or when walking in the factory hall. A deviation may for instance be a disturbance in the production process. Puustinen can see the factory hall from the monitors. In addition, many graphics and meters tell him and two other control room workers the temperature of the different phases of chemical production in real-time, the doses of raw materials, the readings on the automatic gas detectors, and even the composition of the emissions from the factory’s chimney. 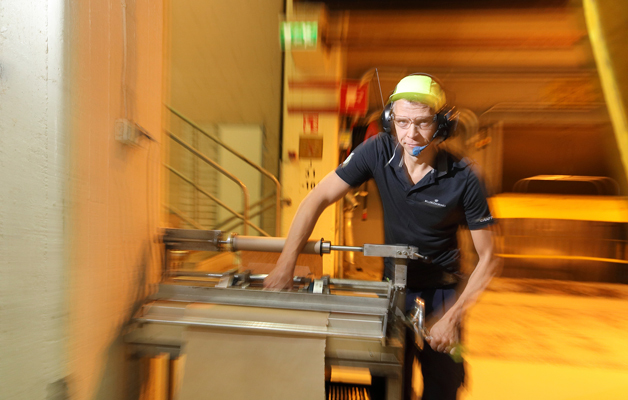 Occupational safety is an inherent part of Puustinen’s task description, as it is in the case of all Yara employees. 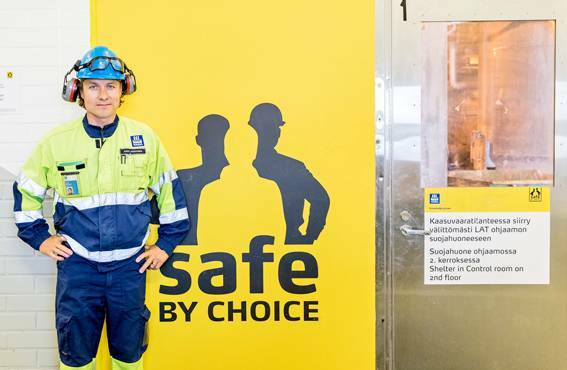 The purpose of Yara’s ‘Safe by Choice’ programme is to create a safety culture in which each employee is responsible for their own as well as their work mates’ safety and well-being. The entire personnel continually cooperate to improve the working conditions. 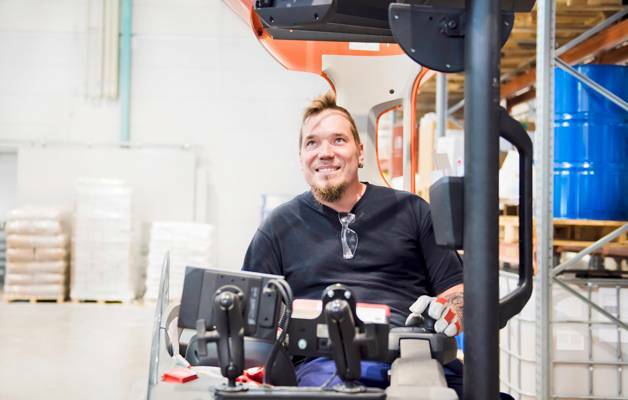 According to safety specialist Anssi Heikkinen, this means committing the personnel to safe working, an open communication climate, as well as safety training that includes everybody. 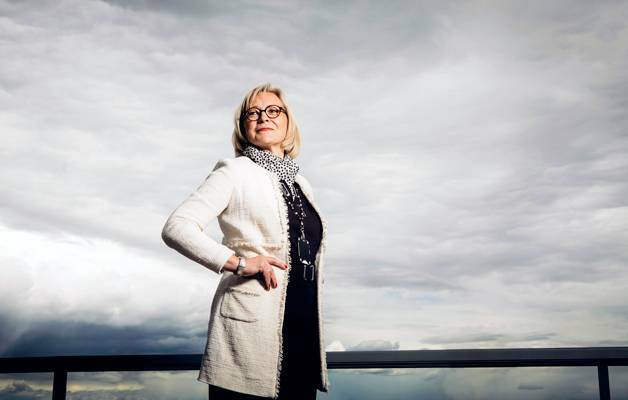 Puustinen has internalized the ‘Safe by Choice’ programme. He emphasizes the importance of team spirit and cooperation and following of rules. – Mistakes should not be made. If someone is even slightly unsure about something, he should boldly ask for advice from a more experienced worker. There is no such thing as stupid questions in this work. A suitable water system is necessary in case of a fire. The seat of a fire can be surrounded and restricted between large transportable units. 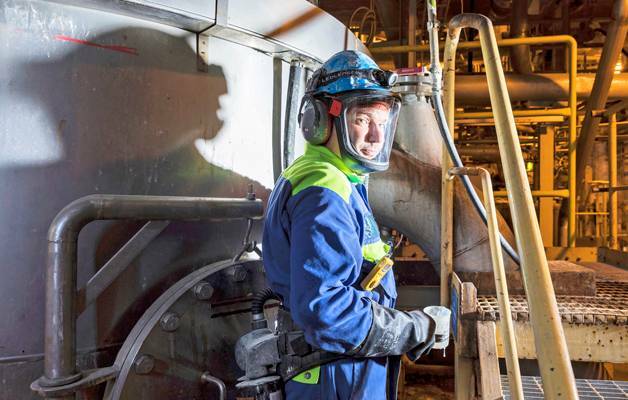 Nearly all Yara’s employees are provided with a work permit before starting their work shift – especially workers who use equipment and machines in the chemical factory. The worker leaves his permit in the control room where the process operator ensures that the worker can go safely to his work site. Heikkinen explains that the work permit shows the employee’s work site, his task for that day, and the risks at that site. The work permit system is vital in a factory where the chemical processes change constantly and the working conditions may change daily. 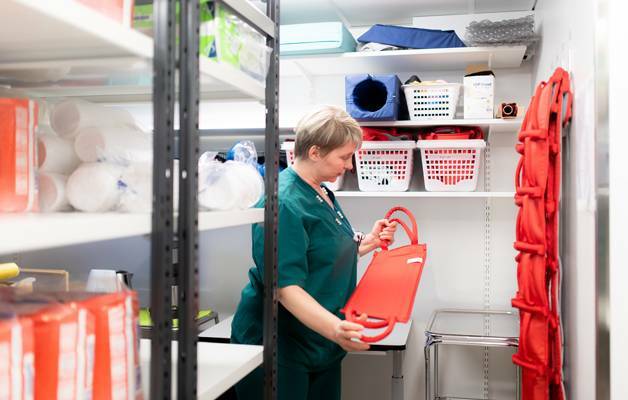 The work tasks at Siilinjärvi are divided into three safety categories according to the risk assessment of the tasks. – The work permit system helps us to make plans regarding the work sites and working conditions. Access control is used to follow the employees’ movements in the factory halls. If we need to reach an employee, his contact information is readily available. The work tasks in the chemical factory are divided into three safety categories that are defined according to the risk assessment of each task. For instance, mowing the lawn of the factory area is a low-risk job that doesn’t require a work permit. Work that requires a permit involves some risk, and includes for instance repair jobs done inside the factory. High-risk jobs are, for example, maintenance jobs in closed spaces, as inside chemical tanks, as well as working with explosives, such as blasting work in the apatite mine. Apatite is a raw material from which phosphorus is removed for further refinement into fertilizer. When we look for collaborating partner enterprises, their safety know-how is a significant single factor in their selection, says safety specialist Anssi Heikkinen. The safety programme ‘Safe by Choice’ aims to prevent all work accidents. The number of accidents has fallen in recent years. According to Heikkinen, no accidents have happened in the mine at Siilinjärvi for a year, and only one accident in the factory. The accident frequency in the factories was 1.2 in the latest monthly safety report. Accident frequency means the number of work accidents per one million working hours. The most common accident is slipping or tripping out of doors in the winter. Hand injuries are also common. – Earlier the workers depended on the advice of the safety personnel. Now they take responsibility for their own safety at work, says Heikkinen. A fire on the factory premises is one of the worst hazards. The factory therefore has its own fire brigade. It has high-level expertise and special equipment that is resistant to corrosive acids for tackling accidents involving dangerous substances. The fire brigade also cooperates closely with the municipal rescue department. In addition, the rescue team gets training at the Rescue Institute for controlling hazardous situations with dangerous substances. In addition to the legislation on different factory functions, Yara has its own standards and requirements for guiding its operations. They can sometimes be stricter than the legislation. For instance, regarding fire safety of the buildings, Yara’s standards are tighter than the legislation. 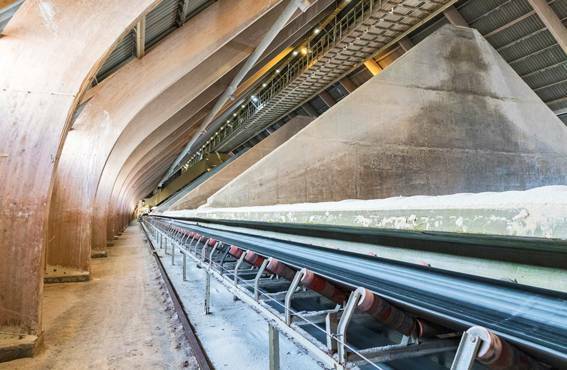 One example is the fireproof material of the conveyor belts that are used to move raw materials at Yara. Yara also has its own guidelines for the selection of tools. Safety is a major factor, and for instance only safe models of certain tools are in use. Safety garments and equipment are evolving all the time. 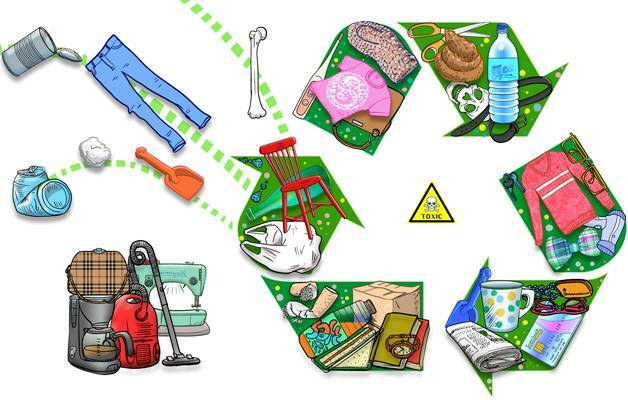 The gear used at Yara are up to the latest standards, and protect also against chemicals. – Many of the workers in the hall prefer to use an Auto Flow respiration mask. 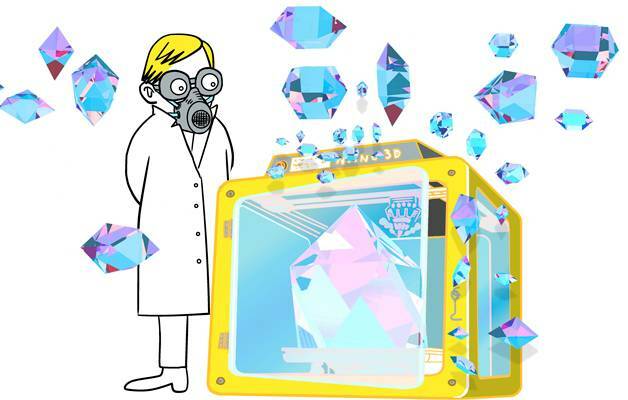 It filters the air and lessens exposure to dusts and process gases. The employees’ trustee Tero Valonen is working as a process operator in the control room of the fertilizer factory. Task rotation is practised at the factory – about half of the working time is spent in the factory hall. According to Valonen, it’s good to alternate work tasks to level off the loading of the work, and to keep the work tasks meaningful. 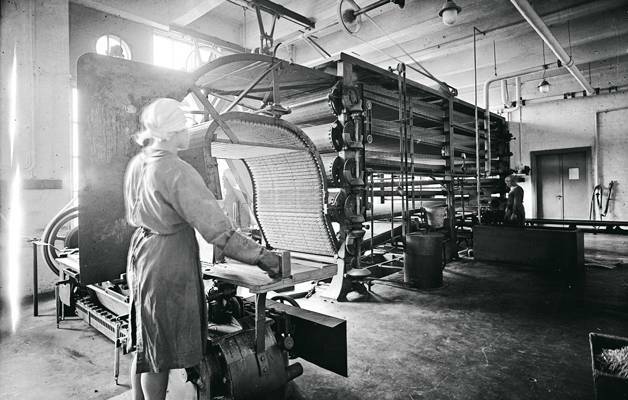 Ville Puustinen, process operator, in the background. Yara’s activities are not restricted to the factory premises. Legislation regulates the transport of hazardous materials on the roads and railways. The transport must be as safe as possible. – When an accident happens, the authorities are responsible for managing the whole accident situation and for informing about it. When a dispatch leaves our factory, we provide specialist help concerning hazardous substances, whenever needed. If an accident occurs during transport, we always have to investigate also the causes. In this way we can improve our operations and make them safer. In all our work shifts there is usually an employee who has skills in first aid and resuscitation, and who knows how to use a defibrillator. 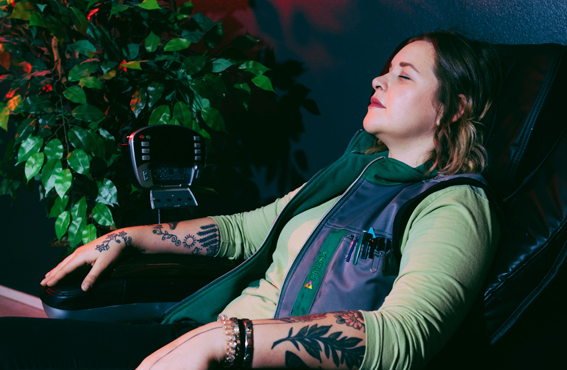 In addition to the smell of chemicals and dust, the health and well-being of those who work in production is subject to systemic diseases and musculoskeletal diseases. The last-mentioned are one of the biggest causes of sick leaves. The occupational health service provides physiotherapy, massage and physical treatments to maintain the work ability of persons with musculoskeletal disorders. The employer offers vouchers for physical activities, for instance the use of a gym, or even tickets to a hockey match. Supporting mental health is also an aspect of occupational safety. – If an employee has caused an accident, he may become depressed. We speak openly of all accidents as well as near-accidents. The employees will therefore readily bring up any defects they have noticed, and the work to improve safety continues, summarizes Heikkinen.